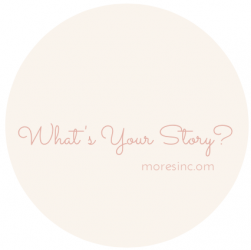 Our Story – moreStories. moreSmiles. moreSharing. We have been providing social media marketing consulting since 2010: creating, managing and growing our client’s presence through blogs, Twitter, Facebook, and other strategically relevant online properties. Our client’s rely on us to be knowledgeable on current marketing trends, strategies and tactics related to digital advertising, social media, mobile marketing, other emerging technologies and customer media habits. As inbound marketing specialists, we love writing and creating content to help drive social media traffic and leads. News Feeds: we post news stories directly to your social media to drive more traffic to you (and create your social media properties). Premium Content: we write unique content exclusively for you. The content can be developed on any topic and delivered in any format (website landing pages, blogs, email, video scripts, eBooks, etc). We work with your team and conduct research to develop content that positions you as the leader in your field. Website and Social Media Development: we build websites, blogs, Facebook Business Pages, Twitter Feeds, Pinterest Boards, Google + Pages, YouTube Video Scripts, the social media list is endless. Community Management: we monitor online communities, engage in online conversations, build followers/fans/subscribers/new customers, collaborate with Marketing to support Brand Strategy and provide analytics. We are in the business of story-telling – building content for your social media properties. We would love to tell your story and share it with the world. Below we share interesting news on the topic of story-telling. We hope you enjoy the articles on this page, our blog. Contact us if you have a story to tell.